Heeft u een vraag voor Anpha Boutique Hotel? Gelegen in District 1 is Anpha Boutique Hotel de perfecte keuze voor reizigers die Ho Chi Minh Stad en omgeving willen bekijken. Het hotel ligt 0.1 km van het stadscentrum en de belangrijkste faciliteiten zijn dus goed bereikbaar. Dankzij de praktische locatie liggen alle belangrijke trekpleisters in de buurt van het hotel. Voor Anpha Boutique Hotel is niets teveel om het gasten naar de zin te maken. Zo biedt dit hotel goede service en vele faciliteiten. Terwijl u verblijft in deze geweldige accommodatie, geniet u van faciliteiten als 24-uur roomservice, gratis wi-fi in alle kamers, 24-uur beveiliging, dagelijkse schoonmaak, post service. Aanvullend beschikken alle gastenkamers over een variëteit aan voorzieningen als plasma tv, internet (draadloos), draadloos internet (gratis), bad/bubbelbad, rookvrije kamers, om zelfs de meest veeleisende gast te tevreden te stellen. Daarnaast garanderen de talrijke recreatieve mogelijkheden dat u zich tijdens uw verblijf kunt vermaken in het hotel. 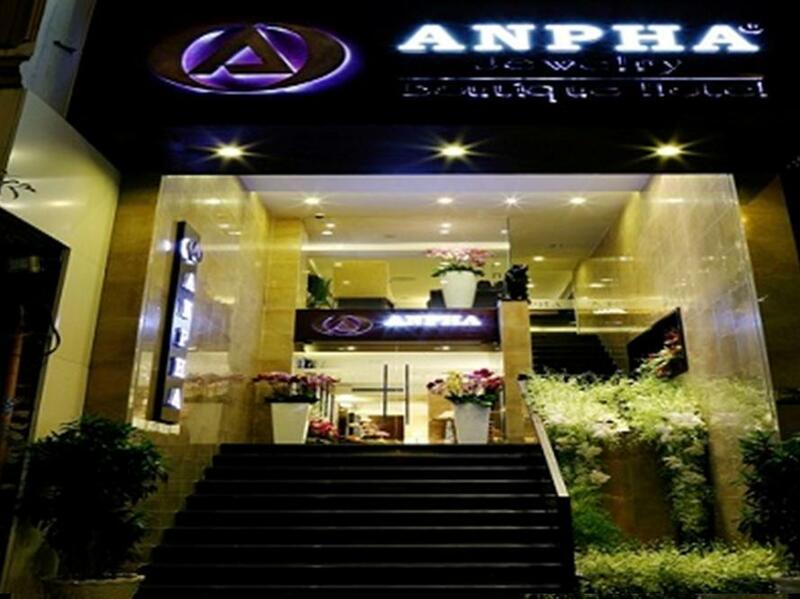 Als u zoekt naar comfort en gemak in Ho Chi Minh Stad, dan is het Anpha Boutique Hotel uw thuis ver weg van huis. Nice room. Difficult to stow luggage. Good bed, good bathroom, good TV, good Wi-Fi, good à la carte breakfast, good airco, 21 rooms only. Taxi apt-hotel 8 $ and 6 $ v.v.. The hotel receptionist are very well versed in English. I have asked them for help in finding location. The location of the hotel is good, near to the Bien Tian Market and also within 10-15 mins walk to the attraction like city hall, central post office and etc. I like their breakfast but it will be good if they can change the menu. One minus point - I was given the room at 703 and above me is the kitchen and the sound proof is very poor, before sun rise, i can hear them chopping meat, dragging table and on their music. Well, it is still far better than u stay in front of the hotel where u can hear along of car horning sound. Oh yah, forget to mention about their bath tub, it was build so high that it is difficult to climb out if the person is old & crumsy or young children, Overall, i have a good stay here. We were impressed by the service rendered by all the hotel staff, from the reception, concierge, breakfast right up to the chambermaids. Everybody was friendly and smiley. They went all out to impress and please their guests. Lovely room decoration and pleasant surprise received from the hotel as we were there for our wedding anniversary. 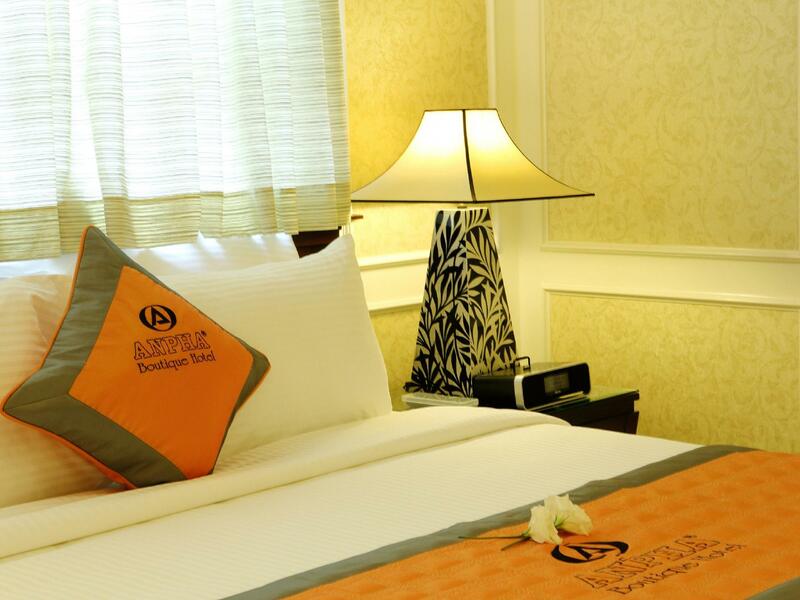 Location is superb, just across Ben Thanh market and very near to halal eateries. Thank you for making our stay a lovely and memorable one. Perfect location for a visit to Saigon (just across the road from Ben Thanh Market). Great value for money; cosy, clean room; and nice touches like the in-room coffee machine and a la carte breakfast. The staff were very helpful both before and during the stay. We also thoroughly enjoyed the tour to the Cu Chi tunnels that they organised for us and would recommend it to other guests. Fabulous location. Good hotel with very comfortable beds. There was a lot of street noise but i don't think you can get away from that anywhere in district 1! The noise didnt bother me, but if you are a light sleeper perhaps some ear plugs. just opp benh thanh mkt but the mkt is essentially a 'tourist trap' to me. not a nice experience when they tout you at the stalls. i wont even 'dare' touch anything. as for the food there, there are alot more better place just surrounding the mkt. the night mkt is nothing great, that you havent seen better else where. the rooms are small, at least the one im allocated. it's like a cu cih tunnel around the bed. but the room is nicely lited that never failed to bring me to another world from the outside street whenever i return to the room. room is clean thou. the staff i have to say are pretty friendly & helpful. as for the breakfast, a small selection but offers both american & vietnamese choices. it's an ala carte buffet so your dished are all hot & fresh. very accomodating waiters & chef I have to say. the roof top while it's a nice al fresco dining area, it's kinda hot even in the morning, but i say this period is hot in vietnam. not much massage spa around, most close by 8pm. so, its either dinner or massage, you choose. I chose dinner. If you are talking about shopping around the area, either you walk on foot or take a cab which is really cheap there - Vinasun. I took a cab during peak hours, boarded at 11k dong, alighted at 11k dong. As a seasoned mid range shopper, I dun really enjoy shopping in HCM city, cos you either get the cheap finds (or replica stuff) or you have to go for the luxury brands (which to me is not cheap in HCM city). Pricing of imported brands in HCM city is exorbitant. To me, not really cater to the common mass people here. Even supermarket shopping around the hotel is disappointing. Enough of shopping, back to the hotel. Hmmm... not sure what's there to talk about the hotel, guess that's it. Not the best but good enough for a short short stay. I and my partner were celebrating our 2nd anniversary. The hotel went out of their way to make sure we have a wonderful anniversary. They upgraded us to a premier deluxe room, decorated the room, the sales manager Christine, made sure we have a great time and everything that we needed. Overall, we had a first class customer service from the hotel. I would recommend couples to stay in this hotel. Value for money. Great stay. Got upgraded to Executive FOC, great view overlooking Ben Thanh market, streets, the roundabout beyond it, and even the Bitexico tower. Breakfast is freshly made from a menu, and they give you heaps. Honestly at a restaurant each plate would be, $5-10. Only issue was lack of power points. Like, zero in my room. I stay after I was advised by another person. The hotel is very near to Ben Thanh market & easy access to other place too. 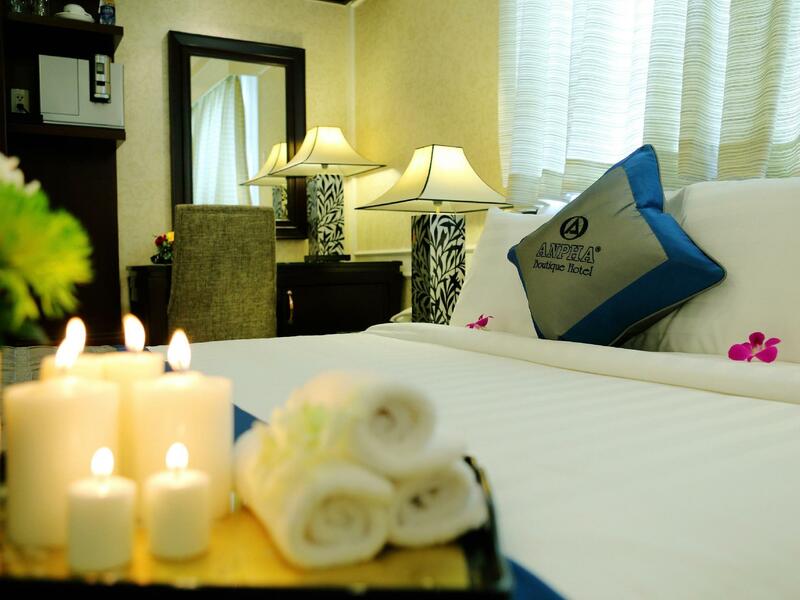 The staffs are always ready to assist you and the room/toilet is clean. The room is spacious enough for 3 persons as we did. Do not book the deluxe rooms as they are small. The wifi is fast and good and works well unlike some other hotels which provide this service free. do try to book the executive if you like to stay in this hotel although it cost more as the other rooms are small. they sound insulation is also a little bad as you will hear the noise coming from the streets pretty clearly even throughout the night but not to forget this is just a stoned throw from Ben Thanh Market which is super convenient. breakfast could have been better and on the rooftop which is pretty nice but i do believe just before i left they will be moving this to the first floor. Also note that the lobby is on the second floor so if you have old people travelling with you, this is definitely not the ideal hotel. Spent our final night here after a long tour of Vietnam. Very comfortable, easy to find, any westerner would be very happy to stay here for any number of nights. Check out process was tedious, as most are in Vietnam, and room was small. Comfy bed! Although it’s a pretty small hotel but we were very satisfied by the hotel arrangements and their good service. Feeling welcomed by the hotel manager Steven Le who wrote us a greeting card and the fruit platter. 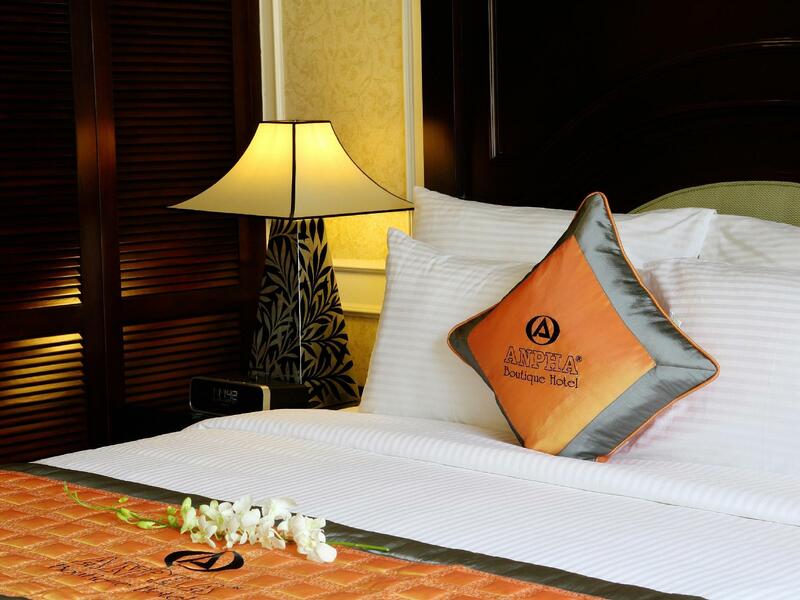 We love our room at the first sight, clean and comfort bed, nice decoration, and good view. Basically it has everything that we need. Location is very close to Ben Tham market, easy to walk around to find food n good massage. Not forget to mention the breakfast is also very good, though not much choice to select, but the taste and portion is acceptable. Overall I would say by giving at this price, we couldn’t expect more, will sure recommend to Friends and Family when visit to Ho Chi Minh City.